An accident is a traumatic experience for you and your loved ones. 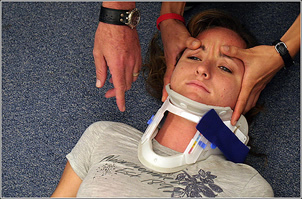 Getting immediate medical attention is important on your road to recovery. Getting legal advice soon after your accident can be important to the outcome of your matter. Attorneys can assist in gathering up important facts, interviewing, obtaining important photographs and hiring expert witnesses that are specific to your matter. It is important to call an attorney as soon as possible. At our office, you can meet for an initial consultation with Attorney Jeffrey L. Victor at no charge to discuss your matter.